"An air of mystery has long surrounded the Wolverine" (National Geographic Book of Mammals). Wolverines are large animals that look like small bears. They have a good sense of smell. They are legendary for their magnificent strength and fierceness. 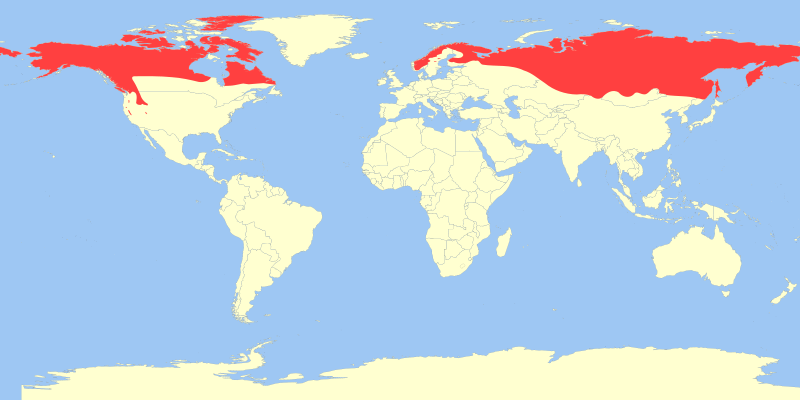 Wolverines live in eastern Europe, Russia, Siberia, Alaska, Canada, and the western U.S. They only live in forests and treeless plains. To the right is their habitat map.Wolverines require lots of open space. I guess that's why they like these areas. Wolverines mostly eat pocket gophers, marmots, bighorn sheep, wapitis, mule deer, four species of voles, and mantled ground squirrels. They eat a lot of meat. "As it looks for food,the wolverine lopes slowly throughout a wide range" (National Geographic Book of Mammals). Wolverines are meat eaters. I think that's crazy. Wolverines are cute small deadly and fierce. They have razor-sharp teeth that they use a lot. They are very aggresive. 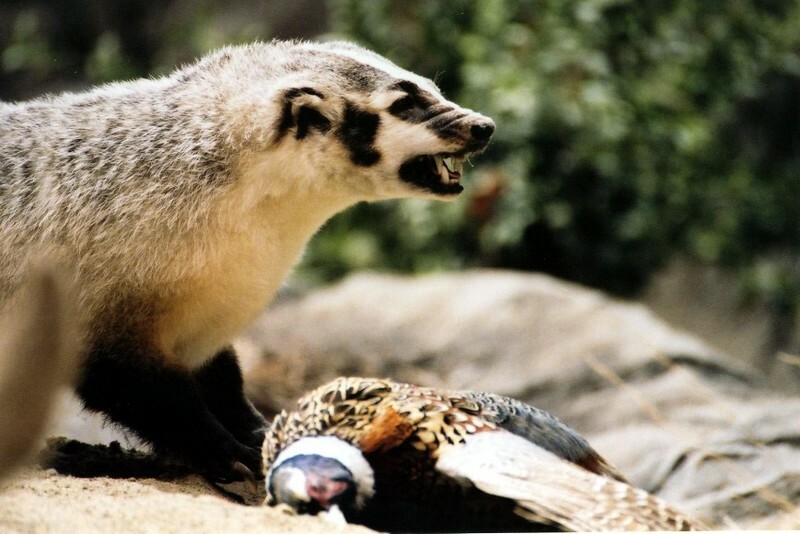 Wolverines are small carnivores but the biggest of the weasel family. Wolverines mark their property with their scent. I made a full size model of a wolverine. The skeleton is made of wire. It also has lots of fake fur. My model used iced tea to paint the fur brown. I think I like the wire the best. It has witch fingers and vampire teeth. I think they go together very well! I also made a footprint out of clay. There are more pictures on the picture page. In an Inndu myth wolverines are the creator of the universe.They live to be about 12 years old.They can weigh 40 pounds. Wolverines are protected by the law in several states. Trappers used wolverine fur a long time ago.